NIA CHARLESTOWN NEVIS (May 24, 2018) — All media houses and members of the press corps are invited to the monthly press conference, which will be held by the Hon. 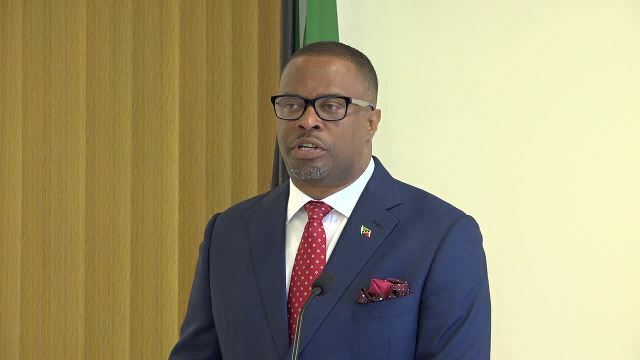 Mark A.G. Brantley, Premier of Nevis, on Tuesday May 29, 2018. The press conference, the fourth in a monthly series, will commence at 9:30 a.m. at the Cabinet Room, 2nd Floor of the Social Security Building at Pinney’s Estate. During the press conference, the Hon. Premier will update citizens, residents and visitors of the Federation on matters of national interest. Members of the press will be granted the opportunity to ask questions for the benefit of the listening and viewing audience. The event will be broadcast live on Nevis Television Channel 8 (NTv8), NevisTvOnline.com, NTv Go App, NTv Facebook Page, NTv YouTube Page,THG Network and Voice of Nevis (VON) Radio. Your presence is anticipated and will be greatly appreciated.